I’ve been asked half a dozen times recently how to change accountants, with local businesses being put off moving away from poor service, mistakes or high fees because they are worried the process might be difficult, complicated or expensive. 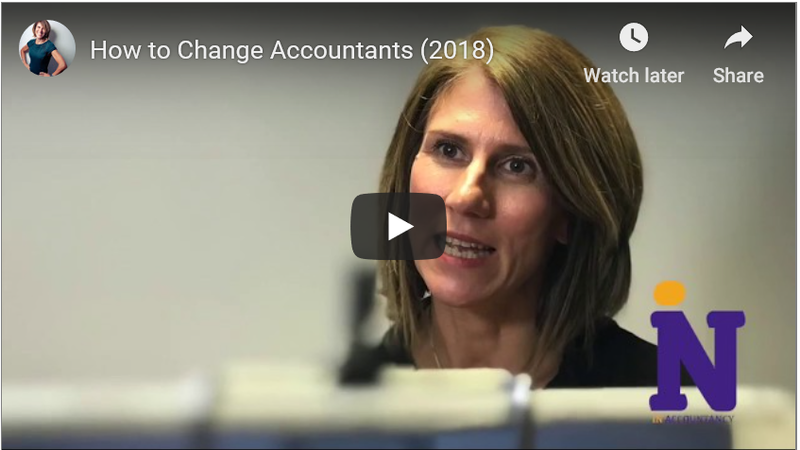 In reality it is really simple and straightforward to change accountants – my quick video below outlines everything you need to know, but of course if you do have any additional questions, please get in touch and we will be happy to help! If you have previously been happy with your accountancy services, then first and foremost we would encourage you to talk to them to explain the reasons why you are thinking of leaving and see if you can reach a workable solution. But if this isn’t possible, or your relationship has deteriorated too far… or you don’t feel that you have one… then all you need to do is let them know you will be moving and your new accountant will do the rest. It’s as simple as that! Your new accountant will then request professional clearance to work with you from your previous accountant, along with any supporting documentation which they might need. Assuming all your fees are paid up to date your previous accountant will release that information quickly and do everything in their power to facilitate a smooth handover. If you found this useful, have a look at our YouTube channel for more simple guides and ‘how to’ videos. PS Are you MTD ready? Get in touch if you need any help!